Offered Through Direct Contact With The Ascended Masters Of Light. 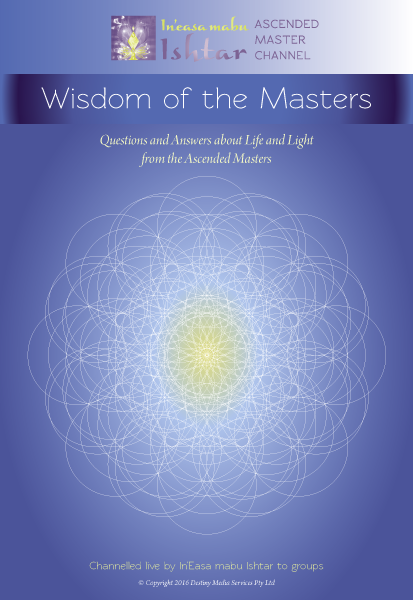 For the first time on the Earth the 12 Ascended Masters, who oversoul the Universal Rays of Creation, are offering channelled healing consciousness to assist humanity to heal its ancient wounds and step into Self Mastery on the Earth. This healing therapy assists you to transform your consciousness on all levels – physical, emotional, mental and spiritual. When you shift your consciousness true healing may occur on all levels of your being. Universal Rays Healing assists you to move into balance in your life on many levels and may be targeted to specific areas that need assistance and support to harmonize and re-align. During their training the Universal Rays Healer is specifically attuned to 5 Angelic Healers and the 12 Ascended Masters, which they will channel and work with directly during healing sessions. Many clients say that during a healing session they can often feel someone holding their feet or hands, even when the healer has stopped working! The Masters say that when we shift our consciousness we change our actions and behavior and this in turn affects the energy we use to manifest our reality on the Earth. So we change our reality. The Masters say until our consciousness is changed there can be no true healing on all levels of our being. The Universal Rays Healer is trained to understand the importance of the rays upon which you were born. As part of the healing treatment they will offer a Soul Reading to each client so they may better understand what drives them to create the life they live. YOUR CAN NOW LEARN THIS AMAZING HEALING THERAPY TO TREAT YOUR CLIENTS OR LEARN TO HEAL YOURSELF! Level 1 is being taught by In’Easa Mabu Ishtar, who has chanelled this healing therapy. To find out more about Ishtar please click here. We will accept students via Skype, but you must attend the 4 days. Students may also arrange to stay at the Ashram for these 4 days. During this course you will receive special attunements to the Universal Rays and the consciousness of the Ascended Masters so you can open to channel this healing energy. Every student will also receive a course manual and 12 unique chakra codes in full colour A4 laminate and be shown how to work with them. A certificate of accreditation is supplied for this course on completion.